Item # 301345 Stash Points: 2,097 (?) This is the number of points you get in The Zumiez Stash for purchasing this item. Stash points are redeemable for exclusive rewards only available to Zumiez Stash members. To redeem your points check out the rewards catalog on thestash.zumiez.com. 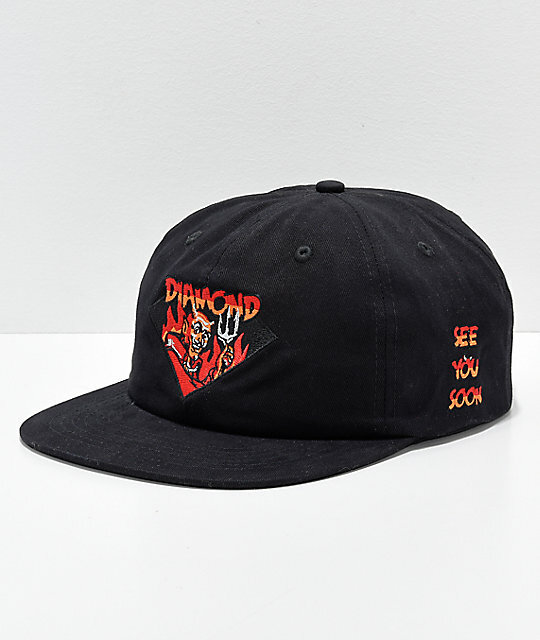 Embrace the inevitable in the See You Soon strapback hat from Diamond Supply Co. A black, unstructured hat features a red and orange embroidered patch of the devil holding his pitchfork immersed in fire at the front while "See You Soon" is embroidered on the left side. See You Soon Strapback Hat from Diamond Supply Co.
Embroidered graphic on the front and left side. 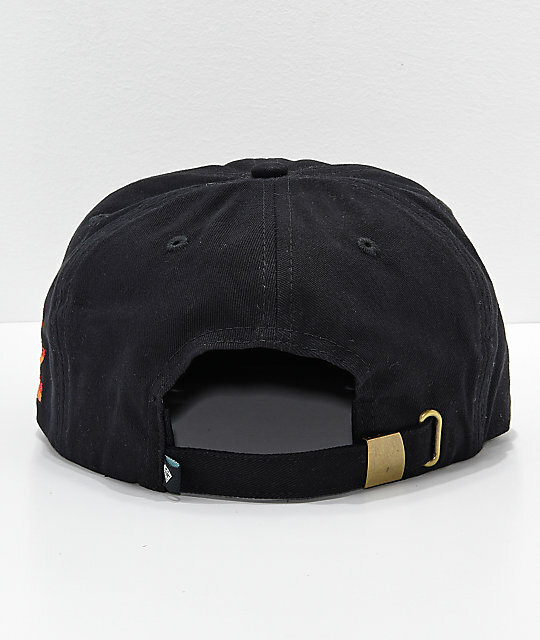 Adjustable strapback sizing piece with a woven brand tag.